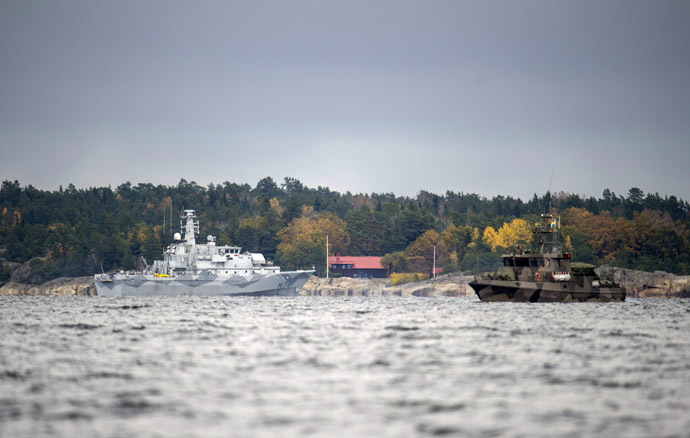 Swedish Armed forces are ready to use force if they detect any foreign submarine in the waters of the Stockholm Archipelago, the supreme commander general said as the operation in search of the underwater threat entered its fifth day. "Our aim now is to force whatever it is up to the surface... with armed force, if necessary," Sverker Göranson said, as cited by the Local. According to Göranson, submarines are “extremely difficult” to detect and Sweden has never managed to find them in the past. On Tuesday, reports emerged that one of the ships detected something, but Göranson denied the claim. Sweden’s Dagens Nyheter newspaper also published unconfirmed reports that there had been more than 100 sightings of a suspect submarine. "We're still getting more reports, and I want to underline the fact that we're happy about this," Göranson said, "You mustn't forget that there's a great deal of work to be done with such a flood of reports. We have to analyze and confirm them all." 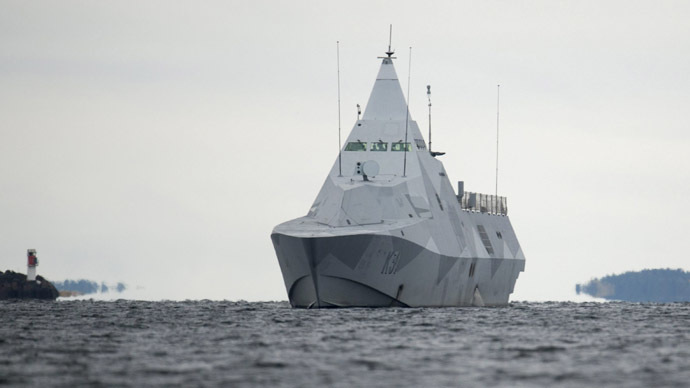 Admiral Anders Grenstad told a press conference on Tuesday that Sweden’s military detected two sightings which could be evidence of "foreign underwater activity" in the archipelago. "Today, I can also report that there have been two further observations which were made by members of the public that are interesting enough to require further follow-up work," he said. He didn’t provide any details of the sightings, saying that they are not yet considered credible. "I want to stress again that this is not a U-boat hunting operation which has the aim of bringing down an opponent with military might," he said. 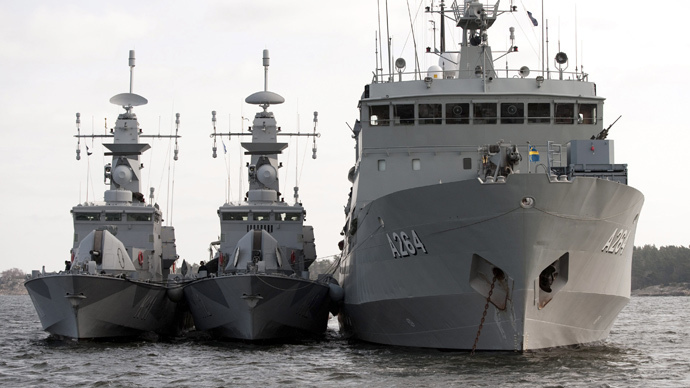 Prime Minister Stefan Lofven told reporters on Tuesday that Sweden must revise its military capabilities in light of Russia’s increasing military activity in the Baltic Region. 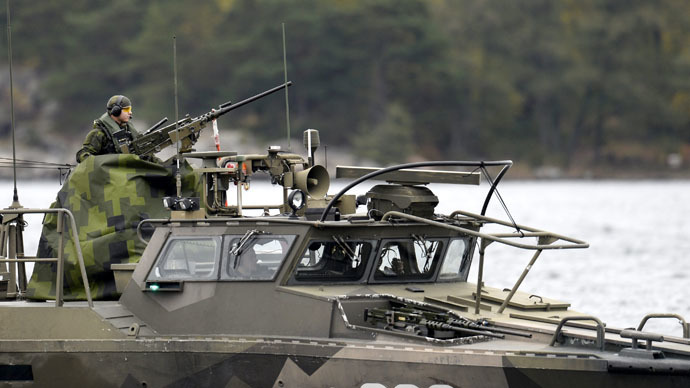 “It's in general what we can see - we also expressed that Swedish defense has to improve its capacity, that is due to what has happened over the years,” he said after meeting with Lithuanian PM Algirdas Butkevičius, reported Lithuanian DELFI news portal. “Since we've seen the increase of Russian military capacity, we do not regard it as immediate threat to Sweden but we follow what happens in the region. More activities in the Baltic Sea, in the region, so of course we also need to look over and to see what capacity we do need," Löfven added. In the first days of mysterious submarine search there were many reports in Swedish media that this sub may be a Russian vessel. Moscow denied any failures by Russian military vessels. The source in Russia’s Defense Ministry said that Dutch ‘Morzh’ (Walrus)-class diesel-electric submarine Bruinvis was in the Baltic Sea last week, not far from Stockholm. 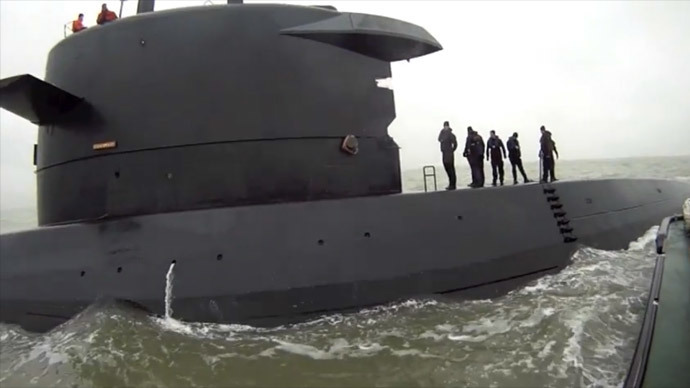 But the Dutch Navy said on Monday the Bruinvis wasn’t near Stockholm at the time the mysterious submarine was spotted. They are constantly searching for certain ‘Russian aggression’, “which in reality doesn’t exist,” he said.